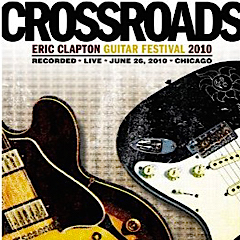 Rhino Entertainment captured every epic note from that blistering summer day in Chicago in High Definition on Eric Claptons Crossroads Guitar Festival 2010. Catch performances by Clapton, Jeff Beck, ZZ Top, Vince Gill, Sheryl Crow, John Mayer, Buddy Guy and many others including JPM's performance with jazz legend Earl Klugh. This DVD clocks in at 4 hours and 39 minutes. Recorded on June 26th, 2010 at Toyota Park in Chicago and hosted by Bill Murray.